Amber Mac(Arthur) started her career in San Francisco and Boston during the dot-com boom. As a strategist for Razorfish and Director of Marketing for an e-procurement software company, she spent four years in the technology start-up trenches. She left the start-up world to join Microsoft to build one of the first female-focused lifestyle portals. 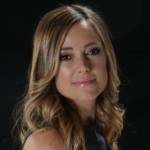 In 2006, she started her own digital agency, which now serves many leading organizations. In 2010, she wrote the national bestselling Power Friending and in 2016, she co-wrote Amazon bestseller, Outsmarting Your Kids Online. Amber has keynoted more than 300 events around the world and has moderated sessions with many notable leaders. She is a regular business host and expert on TV and was recently named one of DMZ’s 30 inspirational women making a difference in tech. 1- Innovation in Canada is increasingly relevant for businesses of all sizes. 2- Canadian companies in all sectors – including mining – must seize the massive opportunity AI represents and adopt the technology in a meaningful way to maintain our competitive advantage. 3- Mining companies must embrace the technological revolutions seeking to disrupt their industry, and remain agile and ahead of the knowledge curve to survive them. Mining companies, financiers, and stakeholders need to work to ensure there are a variety of voices at the decision-making table. How does Canada rank on a global basis in terms of its ability to innovate, and how does our mining industry perform in this respect? What does that mean for its future? Canada fell out of the Top 20 in Bloomberg’s 2018 Innovation Index, missing the list by two spots. While this might seem discouraging, I am encouraged that things are changing in our country. For starters, we have historically been very risk-averse; however, we’re seeing signs that Canadians are taking more risks to build companies on a global scale. Also, while the Innovation Index tends to focus on large corporations, the small and medium-sized businesses in Canada are thriving, even in rural areas. As one example, PayPal Canada just released a report that showed that from 2016 to 2017 digital small businesses in Canada’s rural areas grew by 18.5%. So, it’s time to consider innovation in Canada as something increasingly relevant for businesses of all sizes. When we think about Canada’s future economy and mining’s position within it, we must consider that, according to the Federal Government, Canadian mining companies account for just under half of all global mining activity. 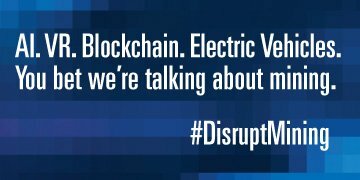 What’s also interesting, which I discovered while working with #DisruptMining 2018, is that there are hundreds of technology companies working hard to disrupt the mining industry. Consider last year’s winner, Acoustic Zoom, which is focused on finding new ways to reduce the environmental impacts of seismic surveys. 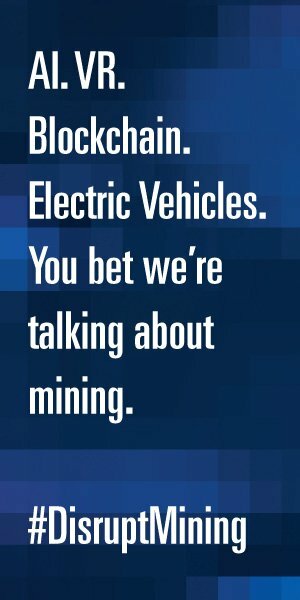 That is just one example of a business that will change mining forever. What actions would you like to see from Canadian governments, mining companies, financiers or other key stakeholders in order to drive improvements in the mining sector? I think that the mining industry would benefit from more diversity. I realize that things are changing. As one example, more women are participating, but I think the industry can do better. That means that mining companies, financiers, and stakeholders need to work to ensure there are a variety of voices at the decision-making table. Environmental performance is also key. It’s no secret that the mining industry has a checkered history environmentally. While saying this, I believe that it is changing for the better. That’s why I’m excited to see how more companies, including technology start-ups, understand that this industry’s success is critical for Canada – and that means also ensuring positive environmental performance. You have a deep interest in AI. How do you see this technology being adopted in Canadian industries? Artificial intelligence is the biggest opportunity since the mobile revolution. Whether it’s computer vision or machine learning, we’re seeing a pace of change that we’ve never seen before thanks to powerful supercomputers. Moreover, we’re also seeing hyper-adoption of new technologies. While it took more than a decade for the majority of Canadians to own smartphones, we’re already seeing time shrink when it comes to the majority of Canadians using AI – many without even knowing it, whether it’s via a voice assistant or in search, and beyond. Canada is in a unique position right now in terms of its AI research investment. I recently completed a 7-episode AI series called The AI Effect and one thing that was made clear is that, while we’re leaders in AI research, industry adoption is still slow. We need businesses to adopt AI in a meaningful way, to solve key problems, in order to keep our competitive advantage. We interviewed Prime Minister Justin Trudeau who talked about how he is looking to other countries such as Estonia to learn how to adopt AI at the government level. In short, collaboration and learning is key for both the public and private sector. How can mining companies plan strategically for the next technological revolutions aiming to disrupt their industry and what corporate culture adjustments are necessary to succeed through these disruptions? In order to disrupt an industry, you need to understand a bit about the future. That doesn’t mean that you will know everything that’s going to happen, but you need to have a basic understanding of the technological change coming their way and be open to relentless adaptation. It is perhaps this second part that is most critical. Many industries like to plan, but when circumstances change, they have a difficult time pivoting. For the mining industry to embrace the next technological revolution, agility is key. If you look to other industries, such as the tech industry, you’ll see a major shift that is fuelling innovation. Microsoft CEO Satya Nadella recently explained how he had to shift the culture internally from a “know-it-all” culture to a “learn-it-all” culture. This might sound insignificant, but it was essential for the software giant to survive. Technology is moving too quickly today to actually know everything about what’s happening, so it’s the knowledge-seekers who will survive. What is your vision for the future of Canada’s economy? When I speak about artificial intelligence at conferences across the United States, they talk about tech disruptors in their own country, China, Germany, and other countries. Very rarely do I hear attendees mention Canada as an innovation leader. There are some signs that this is changing, especially with more businesses choosing cities such as Toronto to set up shop – but I believe that we can move faster. My vision for the future of Canada’s economy is that we actively adopt new technologies to make the world a better and more prosperous place as a leader in the Fourth Industrial Revolution.